Without a doubt, you have heard how good a plant-based diet is for you. Not only does it benefit our health and waistline, but it is also better for the environment, your wallet and conscience. A plant-based diet is a diet rich in fresh fruit and vegetables as well as whole grains, nuts, seeds, beans and legumes instead of animal products and processed foods. A wide variety of studies have found that switching to a diet heavy in fresh fruits and vegetables may help combat chronic disease as well as keep your body looking svelte. Eating more nuts and grains, while reducing or cutting out meat completely and eliminating dairy products, improves cardiovascular health. Plant-based diets have also been known to lower blood pressure, lower cholesterol and lower rates of cancer. Once you start eating a more plant-based diet, you will notice that you no longer feel sluggish or as tired. It is possible to change your health by switching to more of a plant-based diet. In addition to the examples above, plant-based diets also help with an overall better blood sugar. Eating more fiber is the number one way to combat high blood sugar, which is a serious risk as it often leads to the development of diabetes. Fiber slows down the absorption of sugars in the blood stream. Therefore, eating more high fiber vegetables such as broccoli, peas and Brussels sprouts helps to not only stabilize blood sugar levels, but also battle high cortisol levels which cause stress. Plant-based diets are also extremely effective when it comes to losing weight. Instead of eating fatty, processed foods turn to leafy greans, fresh fruits and legumes. Not only will you cut calories, you will always feel full. Another advantage of a plant-based diet is that it is more economical, especially if you eat in-season and eat local produce. It is quite easy to become plant-powered, so start filling up your plate with the good stuff for a healthier diet and overall improved sense of well-being. Are you interested in learning more about a plant-based diet? Does going 100% plant-based appeal to you? If you answered yes to either of those questions, please fill out the enquiry form below and a member of our dedicated staff will get back to you. Here at Santosa Detox and Wellness Center, we are quite knowledgeable with regards to plant-based diets. 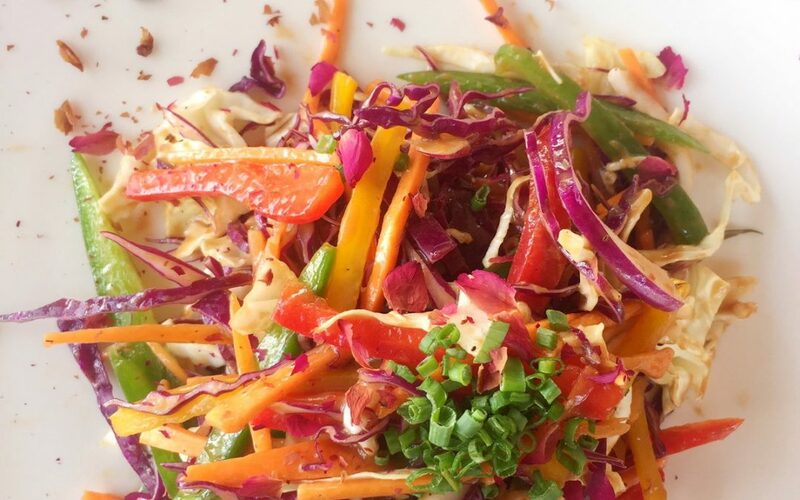 We have an outstanding on-site vegan restaurant that serves 5 star raw cuisine, and we also offer classes with our chef with regards to plant-based vegan diets and “cooking” raw. In addition to the restaurant facilities, we offer a variety of detox programs that are focused on incorporating raw food. If you are looking to make a lifestyle change, we can help you. Ours is a nurturing environment, and we are blessed to be surrounded by beautiful, tropical nature. We are looking forward to welcoming you to Santosa Detox and Wellness Center in Phuket, Thailand.